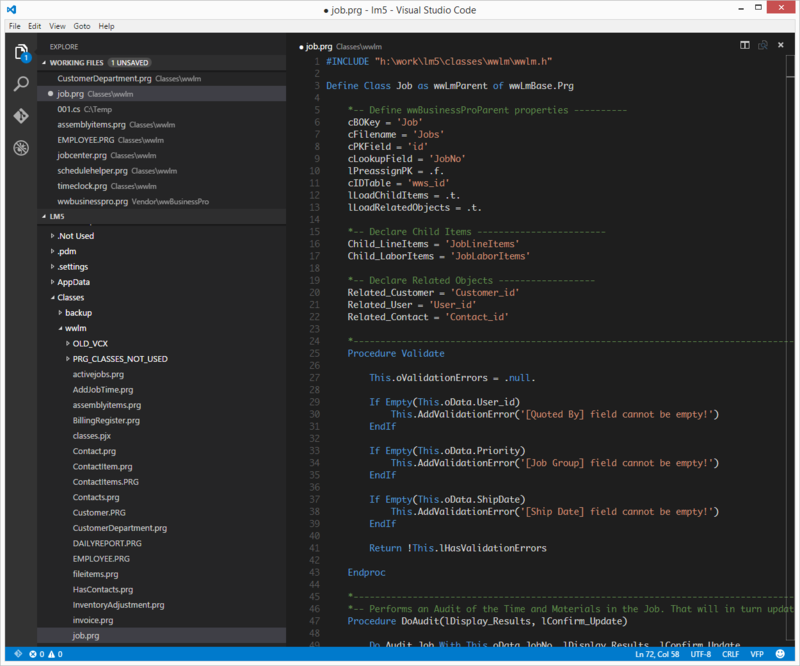 Visual Studio Code>Programming Languages>FoxPro Syntax HighlightingNew to Visual Studio Code? Get it now. This extension adds generic syntax highlighting for foxpro (including function and class definition detection).